Last night, Andy Cohen thought it would be a good idea (or he really hates us) to have Stassi Schroeder, Katie Maloney, Kristen Doute, and Scheana Marie on Watch What Happens Live. AT THE SAME TIME. OMG. This needs to never happen again. There’s not enough Tylenol in the world. 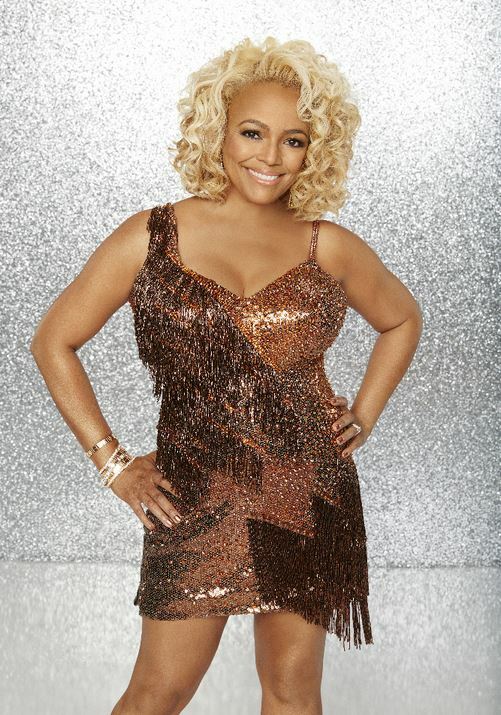 Dancing With The Stars Season 22 Official Cast Reveal! Who will Kim be competing against? Well, my eye is on, Full House star Jodie Sweetin, mixed martial artist Paige VanZant, and America’s Next Top Model winner Nyle DiMarco. Not only is Nyle easy on the eyes, but he is also deaf, which presents an interesting challenge for his partner Peta Murgatroyd. Check out the full cast list below and let us know if you plan to watch. CLICK CONTINUE READING FOR THE LIST! Former Real Housewives of New York cast members Kelly Bensimon and Alex McCord dished to the New York Post about being cast on the show and how it’s changed over the years. 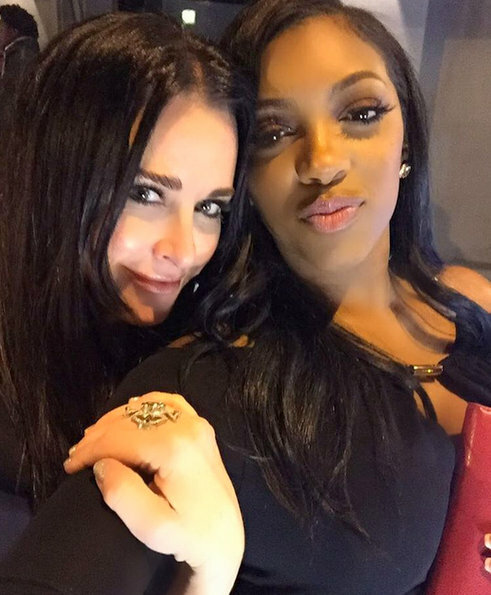 Real Housewives casting director Melissa Stanforth said there’s no shortage of “socialites” and “wannabes” who want to be on Real Housewives, but she shared, she typically finds “new blood” via her professional sports and high-end real estate connections. Melissa said she asks potentials, “What’s off the table?,” to gauge if reality TV would be a good fit. “[If they] say, ‘This, this, this, and that,’ I say, ‘You shouldn’t be on reality TV. '” Every once in a while, however, a perfect Real Housewives candidate just falls into their laps. Real Housewives of Atlanta newbie Kim Fields and actor Michael Rapaport were Andy Cohen‘s guests on Watch What Happens Live last night. Andy asks Kim if she is competing on the upcoming season of Dancing with the Stars. Neither confirming nor denying, she says, “I’m so excited. There’s so many fantastic opportunities that are coming up this year for me. I’m celebrating my fortieth year in the industry. We got a lot of great things going on, lots of fun stuff happening.” That sounds like “yes but I’m not allowed to say so” to me. It’s time to check out the reality TV listings and plan your week. This week brings us the Bachelor special The Women Tell All, Kim Richards one-on-one with Andy Cohen on Watch What Happens Live on Tuesday, new episodes of David Tutera’s CELEBrations, and more. Check out the reality TV listings list, which includes the Watch What Happens Live guests for the week, and let us know what you plan to watch. Below you will find pictures from Melissa Gorga, Tom Sandoval, Bethenny Frankel, Caroline Stanbury, Kim Richards, Courtney Stodden, and more. Watch James Kennedy’s New Music Video! James Kennedy – also known (to no one) as the white Kanye West – said his CD, PUMP Sessions, is the single greatest thing he has ever done in his life. So it should come as no surprise that the Vanderpump Rules star is very serious about his first music video, Don’t Look Down, which dropped this week. From Yolanda Foster‘s awkward dinner to Kathryn Edwards‘ emotional talk, Lisa Rinna gives a short and sweet rundown of this week’s Real Housewives of Beverly Hills in her blog. Lisa describes the mood at dinner and explains why she did not want to talk to Eileen Davidson about Lisa Vanderpump. “It was nice of Yolanda to reach out and invite us. Quite a lot has gone on in this group, so people are feeling awkward and unsettled for sure. Eileen is not happy with me, because I don’t want to engage in this LVP web conversation, and I know Eileen is upset with me for not backing her up, but at this moment it doesn’t feel right. I wasn’t at Frida’s or LVP’s for dinner, and I am now here with my husband, and frankly I don’t want to go there or get into it. But, just wait, we will soon,” teases Lisa Rinna.